♔. . 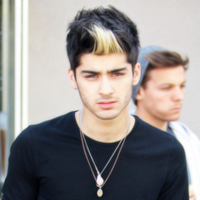 Images in the Zayn Malik club tagged: ♥ zayn malik tumblr s8rah. This Zayn Malik icon contains پورٹریٹ, آرچر, closeup, تصویر, and ہیڈشوٹ. There might also be تفریح ​​یہودیی and تفریح پہن.